They might be the last people New York City FC would look to for empathy, but New York Red Bulls know the feeling. A game plan and a series that hinges on contingencies you can't plan for; a self-inflicted and avoidable disciplinary wound; a goal-of-a-lifetime against you; a goalkeeping error. Red Bulls fans will read the above and instantly flash to multiple moments over the years that seemed to undo a season in a second; for that matter, they may well probably end up adding the circumstances around Sebastian Giovinco's first-leg free kick this year to a long and unedifying list. 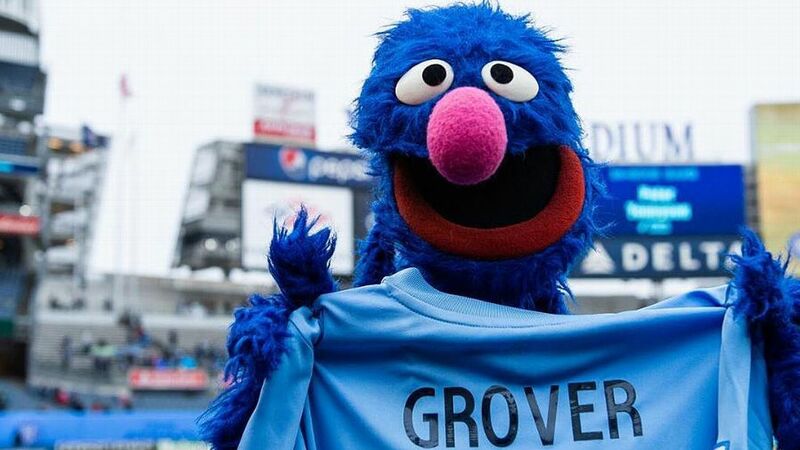 But as of this year, NYCFC has its own hall of infamy. This year's playoff loss felt different to last year's, in that the 2016 loss to Toronto was self-inflicted before a ball had been kicked -- thanks to Patrick Vieira second-guessing his tactics and lineup in Toronto -- before the floodgates opened in the return leg at Yankee Stadium. This year, though, Vieira did a lot right, at least up until the moment when sentiment seemed to get the better of pragmatism and he sent on Andrea Pirlo to see out the last minutes of his career hitting balls over the top into Brooklyn. His midfield in particular competed throughout the 180 minutes of the Columbus Crew SC series. His stuttering attack managed to score three goals, and his defense maintained a shutout at home to prevent the away goal that would have likely killed the tie long before the end. And his team won its first playoff game. But it lost the war. While it's tempting to look at Alexander Callens' red card, Sean Johnson's goalkeeper error one-on-one with Justin Meram, and Harrison Afful's unrepeatable moment of genius and say that an aggregate of bad luck did in NYCFC, as it often has for the red half of New York, that's to miss some important lessons that NYCFC needs to incorporate in its offseason planning. First, the team needs to start planning how it wants to vary its attack. David Villa scoring 40 percent of his team's goals this year is a damning stat, especially when considering the age of the striker and the team's underwhelming form without him. 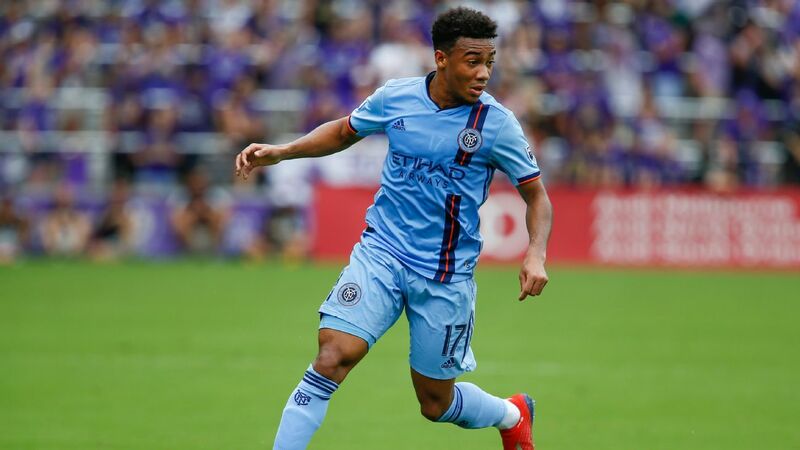 The club has thankfully moved on from the "Villa plus 10" logic of its early days, when the former Spanish international sometimes appeared to be trying to get on the end of his own crosses, but Rodney Wallace and Jack Harrison tailed off alarmingly in 2017 -- finishing the regular season with just two goals between them since May. David Villa carried New York City FC's attack, but it wasn't enough to defeat Columbus Crew SC. Both Wallace and Harrison came alive belatedly in the second leg of the Eastern Conference semifinals, but their ineffectiveness in the first leg had seen both subbed out. They had played their part, along with NYCFC's midfield, in creating chances for Villa, but Crew SC had mostly looked very comfortable in managing the defensive odds of shutting down the sole goal threat. And even though Villa scored a goal that briefly held the tie in balance, the thought of going into 2018 again leaning so heavily on a 35-year-old attacker, no matter how talented, should at the very least give Vieira and sporting director Claudio Reyna pause about what Plan B is. On that note, the designated player slot that opens with the departure of Pirlo will be key. There'll be another moment to seriously assess the Italian maestro's negligible contribution in an NYCFC jersey, but for now the priority is for City Football Group and Reyna to look at the team and not the marketing strategy when replacing him. Atlanta United has shown how young payers like Miguel Almiron and Josef Martinez can excite a fan base. Pirlo and Frank Lampard before him were throwbacks to a different moment; not only the moment when the two could still be consistently effective as players, but the moment where MLS expansion clubs feared the absence of brand recognition could ruin them. NYCFC took a step in the right direction with the addition of Maxi Moralez to replace Lampard. Now it must maintain the trend, perhaps by looking to South America again and considering ways to provide more angles of attack. Assuming Harrison stays and continues to improve, that may mean looking at Wallace's spot or considering the formation that currently exists in support of Villa. 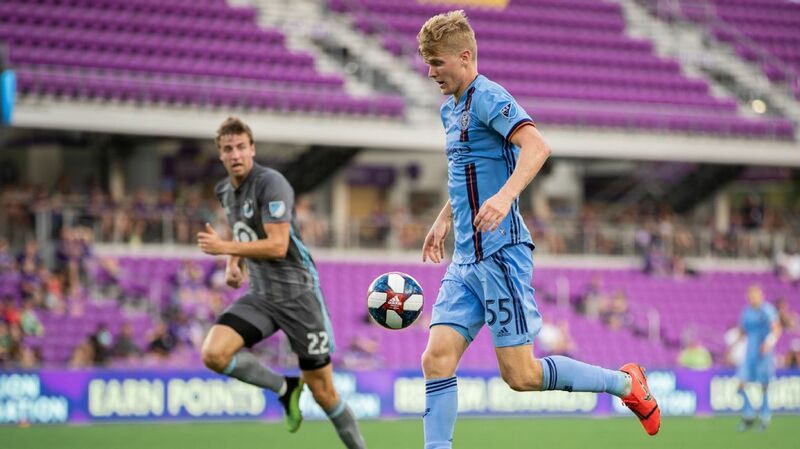 The midfield grit of Alexander Ring and Yangel Herrera was perhaps the success story of this year for NYCFC; the team's one-time soft center looks to be a thing of the past for now, especially when the guile and playmaking of Moralez is added to that trio. The memories of Andoni Iraola being run ragged trying to compensate for Lampard and Pirlo's legginess in last year's New York derbies are long gone. That midfield base gives the team something tangible to build on, and if we haven't mentioned a defense that conceded four goals in a playoff game, that's perhaps because a cooler assessment of a heated series suggests that the circumstances that did them in were an aberration rather than inevitable. Sean Johnson has been an upgrade in goal this season, whatever happened in a moment in the playoffs, and while the cost of Callens' rush of blood to the head will weigh heavily on the defender, it shouldn't overshadow a good season. In other words, "these things happen," as the Red Bulls say every year. Graham Parker writes for ESPN FC, FourFourTwo and Howler. He covers MLS and the U.S. national teams. Follow him on Twitter @grahamparkerfc.